The purpose of this lab is to learn how to create and use a simple reconfigurable computer system. The system will consist of an Altera Nios II processor and an application program. You will use the Quartus II and SOPC Builder software to generate the hardware portion of the system. 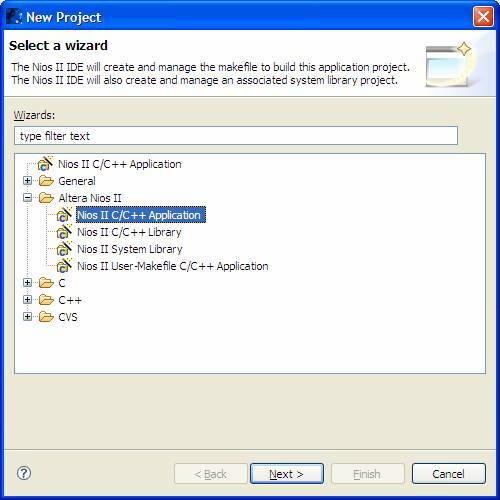 You will use the Altera Nios II IDE software to compile, load and run the application program. 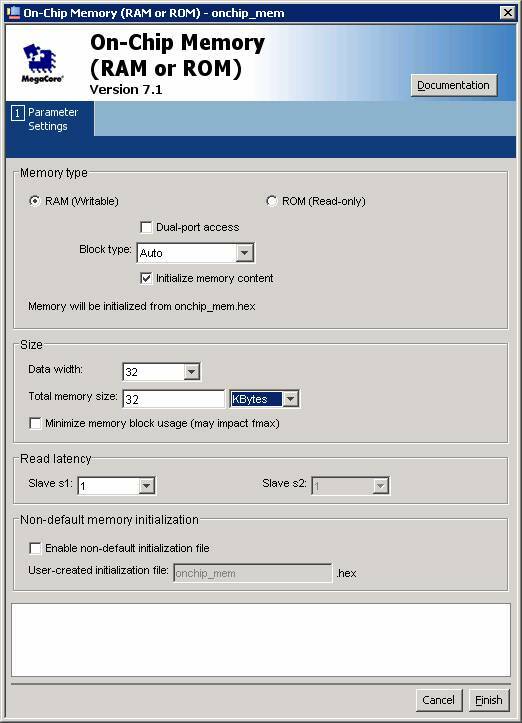 First, you will use the SOPC Builder to create a system consisting of a Nios II/f processor, an on-chip memory block, a JTAG UART, an interval timer, and a parallel I/O interface.. Create a new Quartus II project. Select Cyclone II EP2C35F672C6 as the target chip, which is the FPGA chip on the Altera DE2 board. PIO interface, both read and write lines, 32-bit width. Generate the system, then exit the SOPC Builder to return to the Quartus II software. 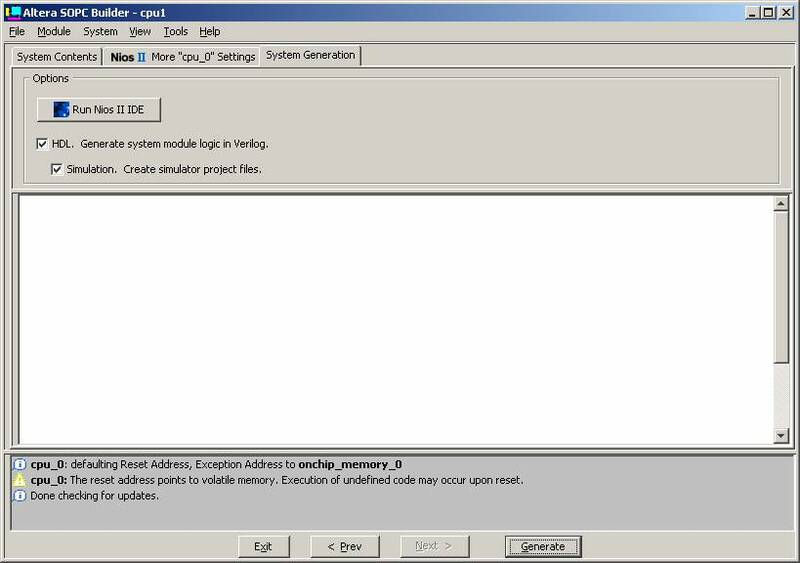 A prototype top-level module and 7-segment interface are provided in the lab download zip file. Add these Verilog files and those generated by the SOPC tool into the project and make nios2lab.v the top-level module. Check the module name and parameter list generated by SOPC with the values assumed in nios2lab.v. 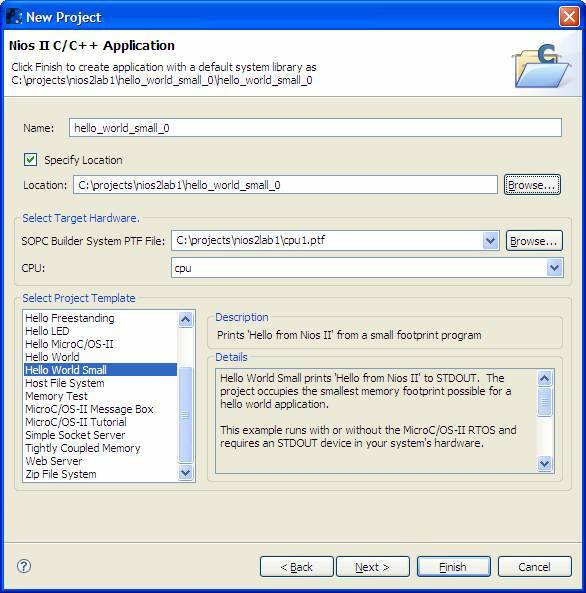 Edit the file nios2lab.v, if necessary, to agree with the names assigned by the SOPC tool. Assign the pin connections by importing them from DE2_pin_assignments.csv. Compile the Quartus II project. 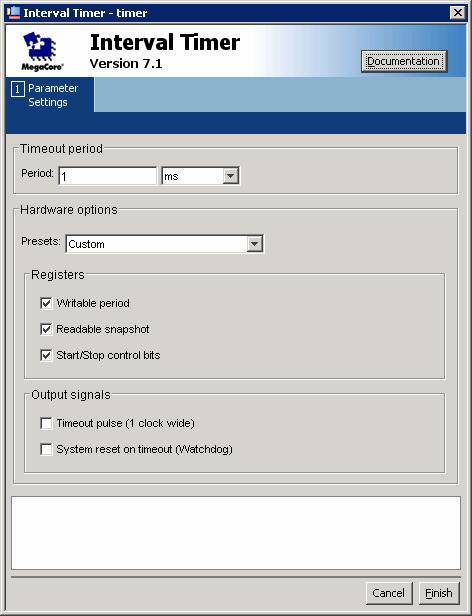 Program and configure the Cyclone II FPGA on the DE2 Board to implement the generated system. To use the system, we have to give the processor a program to execute, which will we do in Part II of this lab. Start the Altera Nios II IDE software. On the File menu, click the New, C/C++ Application. Set the location to the same path as the hardware project. Choose cpu1.ptf as the target hardware. Choose Hello World Small as the template. Click Finish to create a project named hello_world_small_0. 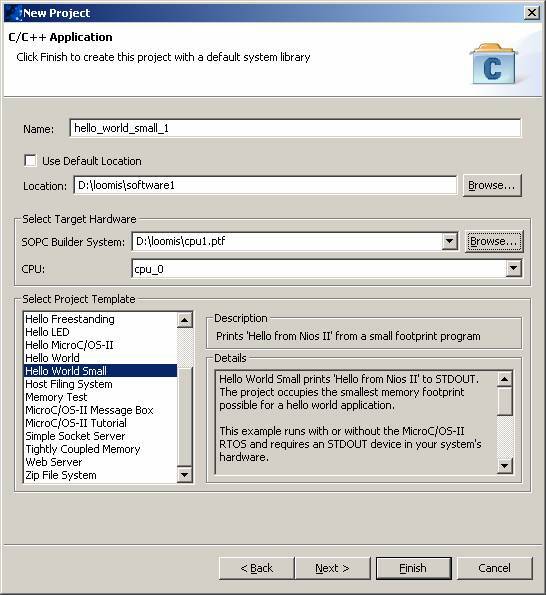 This process also creates a system library project named hello_world_small_0_syslib. When the build finishes, the Console view at the bottom of the workbench displays the message "Build completed." If the Console view is not visible, click the Console tab. On the Run menu, click Run ... The Run dialog box opens. 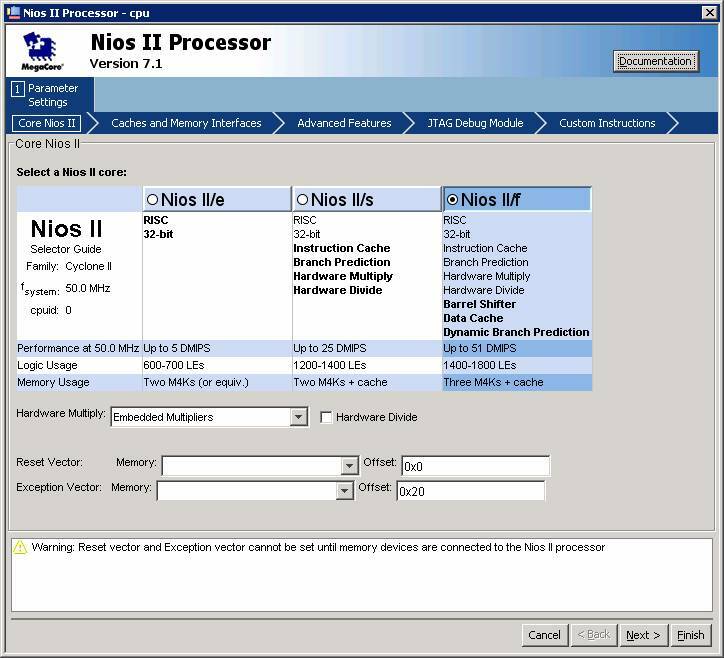 Select Nios II Hardware in the Configurations list. Click the Target Connection tab. 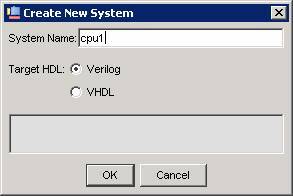 When you start the SOPC ("System on a Programmable Chip") tool, you get the following dialog. Here is the dialog for a PIO unit. 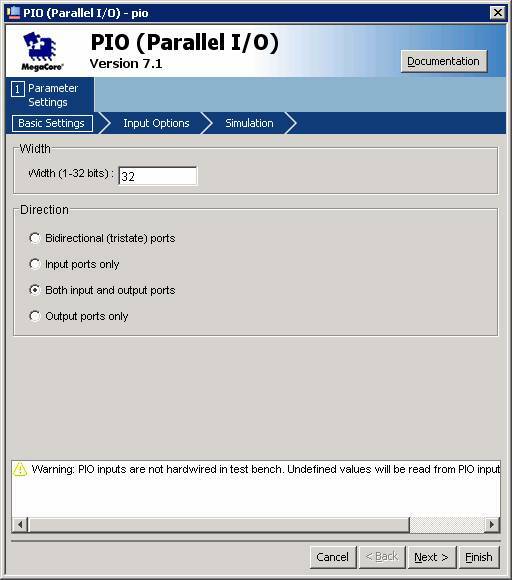 Note that a port width of 32-bits is selected and both input and output ports are selected. 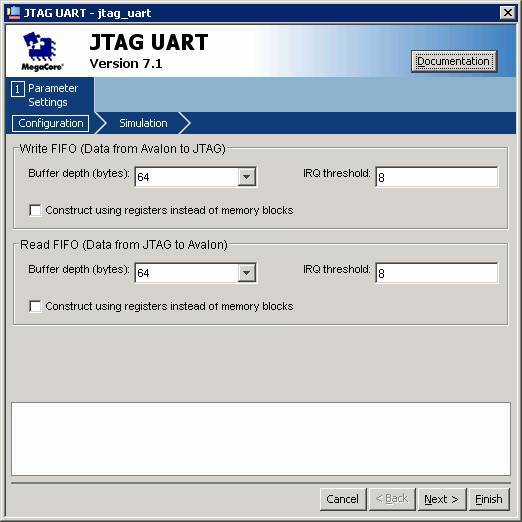 The JTAG UART provides serial communication between the board and the host computer (through a console window within the IDE). 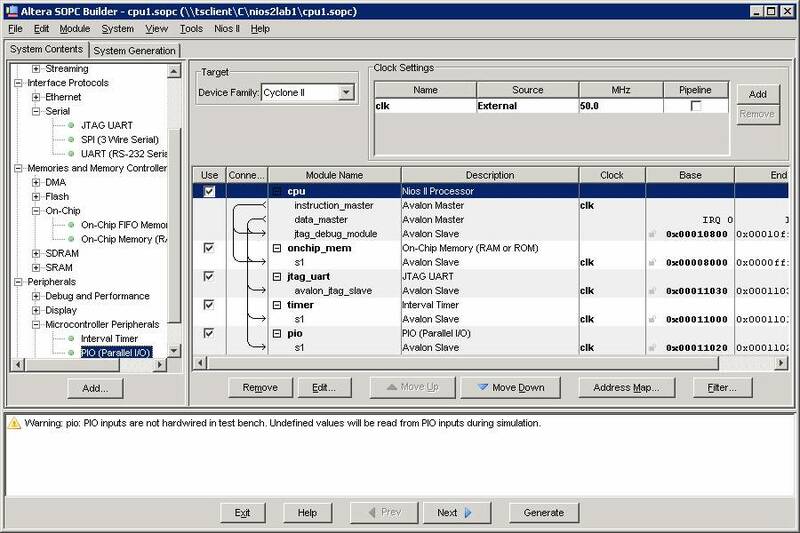 The completed SOPC tool dialog page summarizes the configured system.